An educator, wine lover, judge, writer, and grape grower/farmer, Rhys Pender MW has worked in the wine industry since he was a teenager. 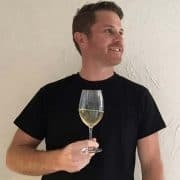 Pender has pursued his passion for food and wine by completing a professional culinary diploma and all levels of the WSET, and in 2010 he became Canada’s youngest Master of Wine. He runs a WSET wine school and consultancy through his business Wine Plus+, and when he’s not travelling around the world he can be found with his boots in the dirt at his small four acre vineyard and winery in the Similkameen Valley – Little Farm Winery. He is a regular contributor to publications such as WineAlign.com, Macleans, Montecristo, SIP and Taste Magazine. Pender judges wine competitions internationally such as the Decanter World Wine Awards and TexSom International Wine Awards, as well as for WineAlign and the British Columbia Wine Awards in Canada.